So, you want to be a millionaire? Conventional wisdom dictates that to save money, you need to squirrel away as much as possible while drastically reducing your spending, period. While there is some merit to that strategy, the smarter way to grow your wealth is to cultivate careful spending habits that will allow you to maximize your savings without cramping your style. Here are four smart spending habits to help you save your first million dollars. 1. Categorize your expenses and monitor your spending. One easy way to keep your finger on the pulse of your spending habits is to break down your expenses into categories. Garrett Gunderson, CEO of WealthFactory.com suggests a framework consisting of four expense categories: destructive, productive, protective, and lifestyle. Destructive expenses refer to, “Overdraft fees, using credit to consume, spending on vices, or products or services you don’t use or that don’t add value to your life,” according to Gunderson. These are financial sinkholes that do not offer any benefits to you. Productive expenses are those that will make you money, like hiring the ideal employee or being an early investor in a company or product that goes viral. These expenditures are also ones that can improve your overall well-being like education, nutritious food and fitness classes. Protective expenses, like health, life and auto insurance, are associated with preserving yourself and your family. Last, lifestyle expenses are comprised of the fun things in life like vacations, the latest technology and new clothes. By categorizing your expenses, you can easily see how to cut destructive expenses, splurge on productive and protective expenses, and spend conservatively on lifestyle expenses. If you make the right choices in setting limits on your spending, your productive expenses will pay for themselves and then some. Make sure to monitor your spending carefully and, soon, good habits (and savings!) will emerge. We all have those days where we feel down in the dumps, and we rationalize that we will surely feel better after buying a new pair of shoes or some gourmet chocolate. Instead, try to regulate your emotions by talking with friends and family, exercising, watching a documentary, or reading. Or, for a more harm-reductionist approach, try planning small, regular outings for yourself using your lifestyle expense budget. For example, plan to get a fancy massage at the spa or indulge in a lavish meal once a month instead of every time you feel stressed. Developing good coping strategies will eliminate bad spending habits and help you save money quickly. 3. Choose and pay off your loans strategically. Loans can be terrifying. Before becoming anxious about how to pay off your personal or business loans once you get them, take the time to research the different types of loans out there. Entrepreneur offers a great step-by-step guide on how to navigate the loan process and weigh the pros and cons of several loan options. If you are already in the throes of debt, Diana Ransom from The Wall Street Journal’s Smart Money magazine proposes prioritizing debt repayment for the loan with the highest interest rate first and then consider consolidating your loans into one longer-term package. 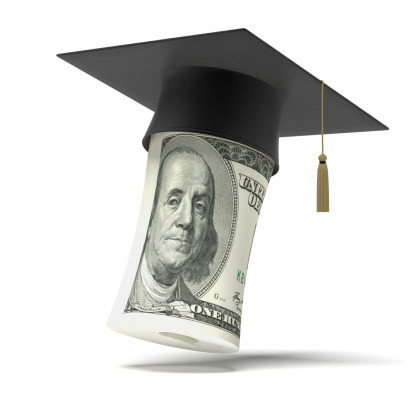 Paying off one larger loan will allow you to avoid wasting money on costs accrued on many smaller loans. In more dire situations, call your creditors and seek help from legitimate debt-relief agencies. Finding the right strategy for paying off your loans can enable you to save thousands on interest rates and possible legal fees. Whether your loans are business or personal, be intentional and deliberate when planning your approach to getting out of debt. Neil McCarthy, a research chemist, made his first million dollars solely by investing in the stock market in the 1990s. Paul Glandorf, a pipe fitter and construction worker, took investing seriously as a retiree and is now sitting on a huge pile of money. The lesson here is clear: know how the stock market works. After you do your homework and have a good grasp of the stock market, start monitoring stocks for yourself and experiment with making investments. Robinhood is a neat app that allows you to trade stocks for free and makes it easy to keep track of companies you are interested in but haven’t put money into yet. Once you get a hang of trading, sales expert Grant Cardone advocates diversifying carefully and committing fully to your causes. In an interview with Entrepreneur, he said, “You want to find one or two spaces you completely understand, that can’t be destroyed, and go all in. That’s how people get rich. People don’t get rich by tip-toeing in with $100 investments all over the place.“ By spending wisely in the stock market, you can strategically multiply your initial investments and be well on your way to becoming a millionaire.